Over recent years Europe-based investors have accounted for a decreasing proportion of capital allocated to hedge funds by institutional investors worldwide, as some have pulled back from investing in the asset class and investors in other regions have increased their activity. 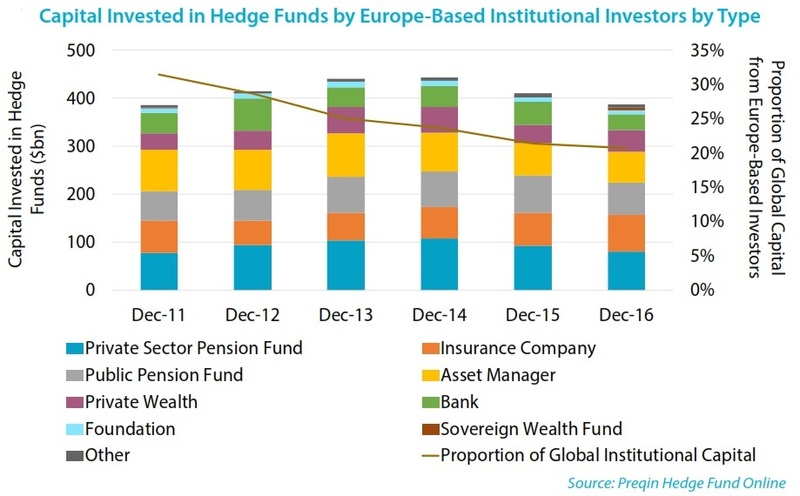 Europe-based institutions accounted for 32% of institutional capital invested in hedge funds in December 2011; this figure has fallen to 21% as at December 2016 (see graphic). The amount of capital invested in hedge funds by these investors peaked at $444bn in December 2014 and has since decreased to $387bn, according to data tracked by Preqin.